My first book was self published in 2008, after a lot of prodding from my customers who wanted to know how I prepared certain dishes that I cooked for them. 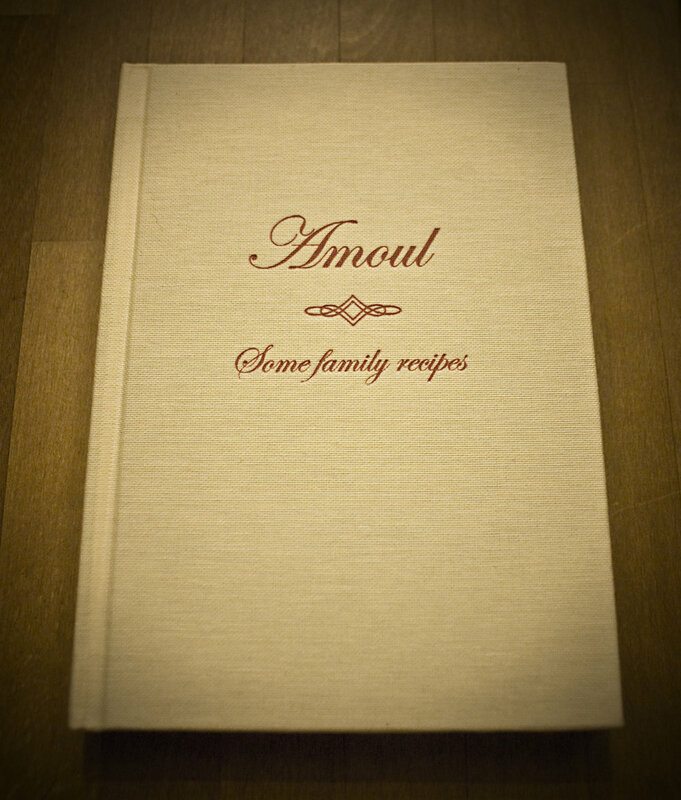 The book contains only 52 recipes, and it was an introduction to Amoul the person and the beliefs that instigated me to cook. The book was a labour of love, put together by my creative family, My son Jad took all the photographs, my daughter Zeina, illustrations, art direction and help in coming up with the title, her husband Mark with the design alongside my daughter in law Tania. My son Ziad overseeing the project. My husband published it and we printed it in Dubai. The book sold very well, I sold it at Amoul’s, Daunt books, Monocle and Books for Cooks and now I am left with very limited stock. If you would like to purchase the book (£30), please email me with your delivery address for details on postage & packaging.